Price Changed to $327,500 in Stateline! 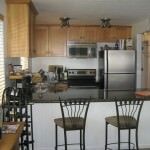 82 Rubicon Circle #B Stateline NV offered at $327,500Well maintained vacation rental in Lake Village backing to National Forest. Quiet 3 bedroom 2 bath, fireplace,and large deck with nice forest views. Lake Village offers unique resort living in Nevada Lake Tahoe with access to a large amenity package featuring heated pool, large spa, sauna, fire pit, tennis courts, barbeques,children's playground, paved bike paths, clubhouse and more!Close to casinos, skiing, and Nevada Beach.Continue Reading! Price Changed to $329,950 in Stateline! 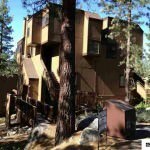 82 Rubicon Circle #B Stateline NV offered at $329,950Well maintained vacation rental in Lake Village backing to National Forest. Quiet 3 bedroom 2 bath, fireplace,and large deck with nice forest views. Lake Village offers unique resort living in Nevada Lake Tahoe with access to a large amenity package featuring heated pool, large spa, sauna, fire pit, tennis courts, barbeques,children's playground, paved bike paths, clubhouse and more!Close to casinos, skiing, and Nevada Beach.Continue Reading! Price Changed to $354,000 in Stateline! 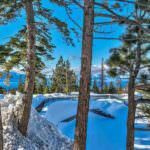 82 Rubicon Circle #B Stateline NV offered at $354,000Well maintained vacation rental in Lake Village backing to National Forest. Quiet 3 bedroom 2 bath, fireplace,and large deck with nice forest views. Lake Village offers unique resort living in Nevada Lake Tahoe with access to a large amenitiy package featuring heated pool, large spa, sauna, firepit, tennis courts, barbeques,children's playground, paved bike paths, clubhouse and more!Close to casinos, skiing, and Nevada Beach.Continue Reading!